How can I find a reliable mobile locksmith for my on site needs? By getting in touch with a local professional, using their services and asking their advice when you are looking to have your mobile locksmith requirements fulfilled. You will get a feeling for what they provide, and start to build long term relationships with them. Which is always a point to aim for. A quick fix no service or commitment service is never ideal. A mobile locksmith that cares for your needs is important. And why shouldn’t you have such a thing, when there are many of the kind available out there. For example. Our friendly technicians who have trained for years and who provide you with around the clock availability. Are both a quick mobile locksmith who you can rely upon, and a service which provide for all your needs. From your home lock checks and changes to your business alarm installation needs. Mobile locksmith requirements such as re-keying master systems, on site key cutting, emergency lockout help and more are just a few things which are available here. 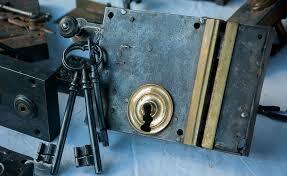 And which you should always look for when you pick the mobile locksmith service you want to utilise for your needs. To find a mobile locksmith in line with your values and needs can take some time. Long and good relationships between provider and customer doesn’t build over night. Even if singular good service experience can leave a good impression. The things which last is the care that a mobile locksmith gives you over time. Shown through dedication and investment into your security and needs. Give the local specialist technicians here a chance. Phone us now on the number you can find on the home page and ask us about our mobile services or get a quote for any lock, key, alarm or security requirement you may have. Fast, friendly and always here for you to provide convenient and easy security affordable for you. When is it time for me to change door locks?